The Good Burger is a Spanish Hamburger Restaurant that adopts the essence of classic burgers with the flavors that we like the most. Beef burgers 100% beef that are cooked at the right time to be enjoyed by the most demanding customers. TGB refreshes the national gastronomic offer with a concept of quick operative and self-service, but with the quality and environment of a table and tablecloth restaurant. 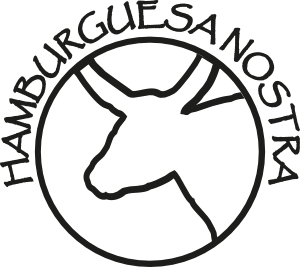 100 Montaditos is on its way to becoming one of the main tapas restaurants in Madrid. And the truth is that this type of premises is well known in the capital of Spain. Thus, the daring proposal of 100 Montaditos and its very cheap prices is becoming a success. A pit-stop that is almost mandatory for those who visit the Manoteras Centre. Even more so considering that this establishment shares its premises with another great place to have a drink: La Sureña. One of the most historical burger restaurants in Madrid is Foster’s Hollywood. A type of American restaurant in Madrid founded by Americans settled in Spain who longed for the food of their country. Therefore, everything here tries to reminisce a North American environment, from the decoration to the flavours of its famous burgers, steaks or grilled ribs. A piece of U.S.A. in the heart of the Manoteras Cinemas & Restaurants Centre. Another different concept is the one proposed by Hamburguesa Nostra. Here the most select Spanish meats prevail. A specialized chef has created exclusive blends with them. And not only that, they have created their own sauces for the best combinations and even special breads to go with them. In short, if you ask where you can have the best hamburgers in Madrid, the answer is very simple: at the Manoteras Centre. La Mafia se sienta a la mesa is a restaurant inspired by the best Italian cuisine and the cinematic mafia. A winning combination, even more so considering the place where it is located, as there are only restaurants and cinemas. In short, this is the most suitable combination after watching a movie in Cinesa Manoteras , sitting at the table like the mafia would and enjoy one of the best Italian restaurants in Madrid. When we talked about 100 Montaditos, we told you about La Sureña, since they share premises. The case is that between both they manage to bring a maritime atmosphere to Manoteras Madrid. It’s like sitting in a beach bar on the shore of the Costa de la Luz. A good place to try classic tapas from the south, always accompanied by a bucket of fresh beer bottles. That is, as they say, a place to have fun thrice. Another of the best Italian restaurants in Madrid is also located in Manoteras. It’s La Tagliatella. A place created especially for group enjoyment. Of course, you can have a romantic dinner there as a couple and then watch a movie in the Cinesa movie theatres. But the abundant portions and the great pizzas of La Tagliatella invite you to share among groups of friends or family. If you do not know where to celebrate something, this is the place. Within the restaurants of the Manoteras Centre, Yogurtería Danone is something else. A great family-friendly and youthful place to eat yogurt. But not any yogurt. It is curated by the most famous brand in Spain, Danone, recognized due to the quality of its products and its continuous evolution. And within this company’s evolution we find their Yogurtería, where you will taste unique frozen yoghurts which are available fresh too, smoothies, liquefied, etc. The paradise of yogurt in Madrid. The last of the Italian restaurants in Manoteras Madrid is the Pomodoro Pizza Pasta Burritos. A brand that is characterized by the fusion of Italian cuisine and tex-mex. But above all, it is recognizable as one of the cheapest restaurants in Madrid, since any dish in its menu is affordably priced: 3.90 euros! Which does not mean you have to give up on quality. That is why you won’t be surprised to discover that it has been awarded the Trade of the Year award. The Rodilla Sandwiches restaurant can be considered one of the most historic sandwich bars in Madrid. Its origins go back almost 80 years, and since then it has not stopped creating unique sandwiches. Therefore, they have set up a menu with dozens of options for all tastes. Without a doubt, a good place to have a drink before or after going to the cinema in Madrid. VIPS Smart is the new restaurant concept by the classic Vips. A place where you can eat fast if desired, at a very reasonable price, and yet it is possible to do it in a very healthy way and with high-quality ingredients. No more and no less. That is what the VIPS Smart in Manoteras proposes, a concept that has been called “fast casual” and that you must try. The most exotic of the Manoteras Centre restaurants is the Wasabi Green. 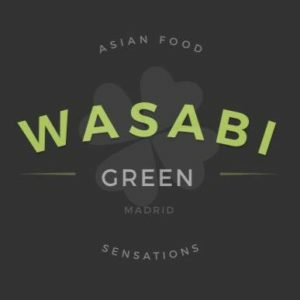 One of the most visited Japanese restaurants in Madrid. Why? Due to its varied selection of sushi, sashimi, maki, yakitori, and other Japanese delicacies. All of them are faithful to the spirit of Japanese cuisine, its ingredients and its production processes. But at a very economical price. In this way anyone can enjoy these unique flavours. These are our food and drink options. Choose the one you prefer today, check out the movie listings in Madrid and come to Manoteras Centre to enjoy a fun and tasty evening.